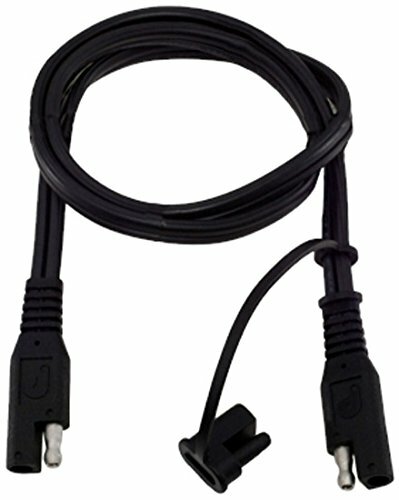 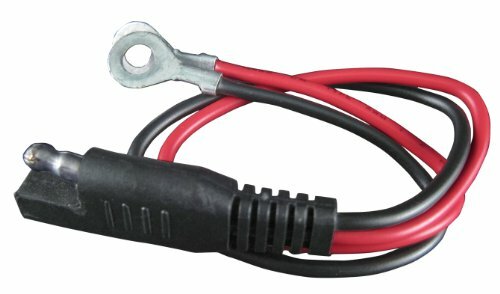 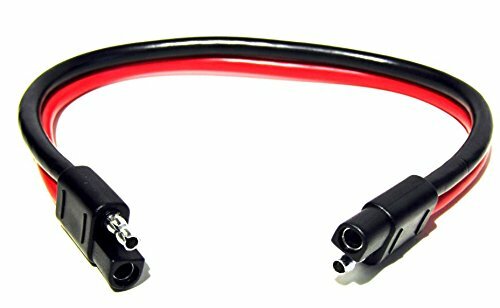 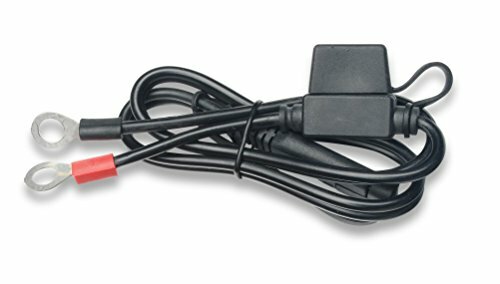 Schumacher Cable Connector for Battery Charger/Maintainer is expand usage, quick-connect cable easily attaches to hard-to-reach batteries on motorcycles, lawn tractors and more for greater versatility and ease of use. 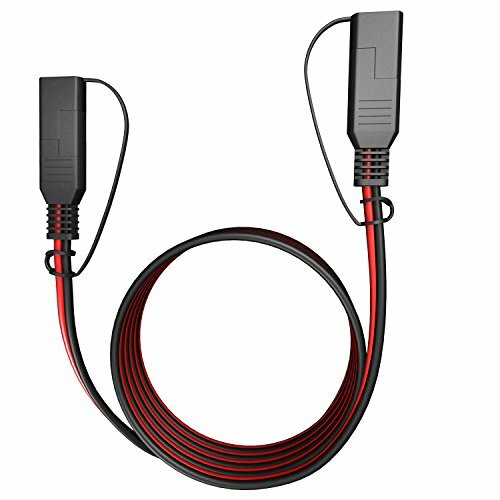 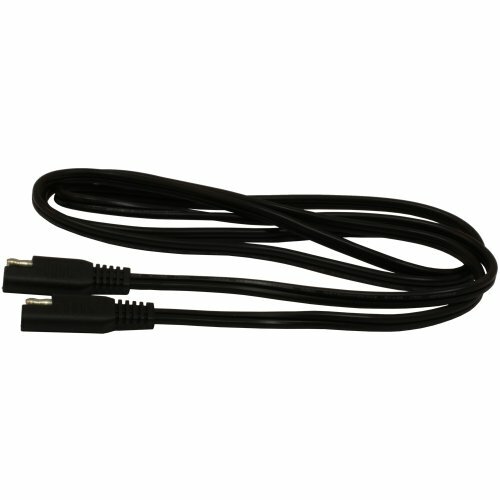 Battery Tender 5 foot Extension Cable is designed to extend the length of reach of the charger from the input to the battery. 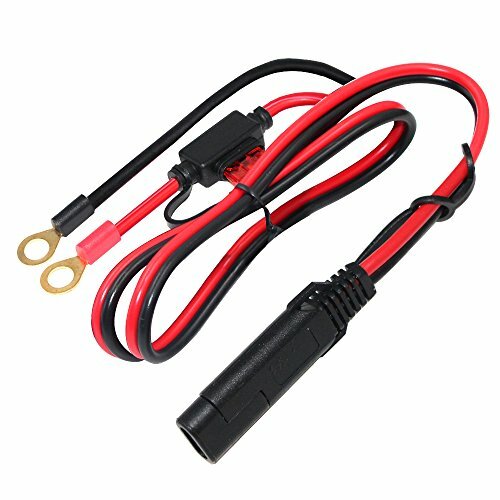 It can be used with the Battery Tender Junior Plus 4, 5 or 10 bank units. 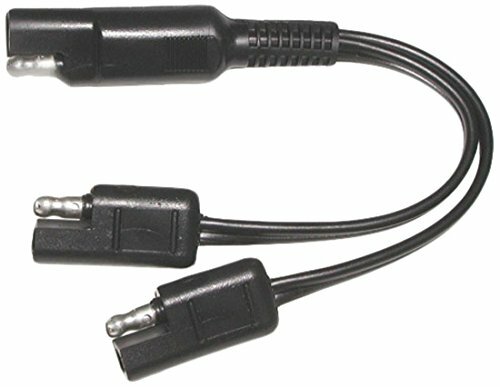 Converts one SAE into two SAE's. 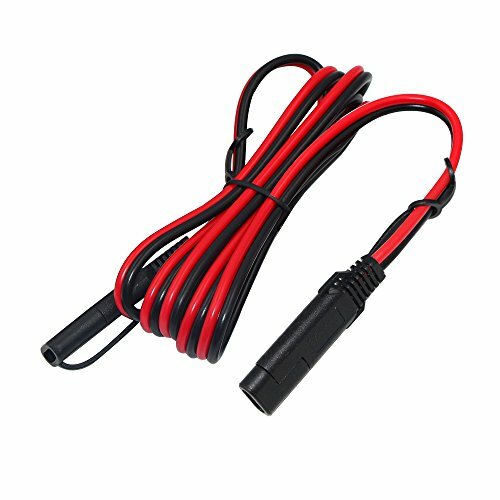 Great for Luggage Electrix or for powering two heated vests from one SAE battery lead. 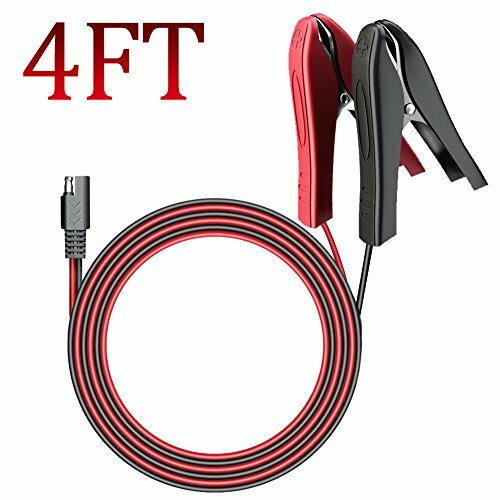 6" long.